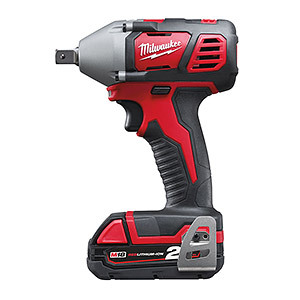 Professional 18 volt cordless compact Impact Wrench with 1/2" square drive. This compact 1/2" impact wrench measures just 155 mm in length making it ideal for working within confined spaces. Supplied with 2 x 2.0Ah Li-ion batteries, charger and kitbox.